Wait. 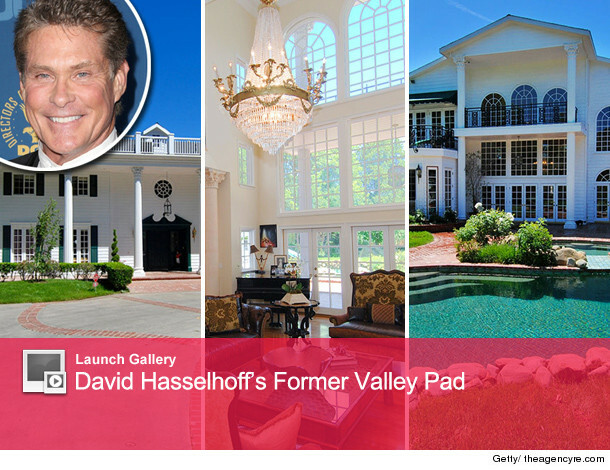 So David Hasselhoff hasn't been living in a lifeguard tower in Malibu all these years? We feel so betrayed! The Hoff just scored a buyer for his 5-bedroom, 5.5-bathroom Encino abode, which he listed for a cool $3.795 million back in November. The new owner of the Hasselhouse will enjoy 8,947 square feet of a Southern Colonial-home, with cathedral-vaulted ceilings, an elevator, fancy marble foyer, library, gym, and lots and lots of windows. The 1.5-acre Valley property also boasts expansive lawns, two guest houses, a tennis court with viewing pavilion, spa, and of course, a swimming pool (with slide!). How else would the Hoff keep in shape for those red swimtrunks? Click "Launch Gallery" above to see more shots of the former Hasselhouse! And check out the full listing over at Redfin! Exclusive: Matthew Perry Sells Home, But Not at a Loss!